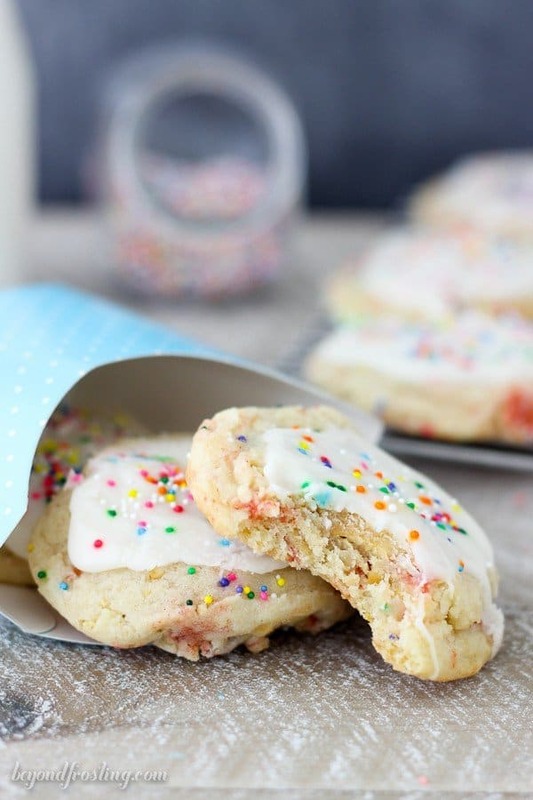 These Frosted Strawberry Pop Tart Cookies are like a party in your mouth. 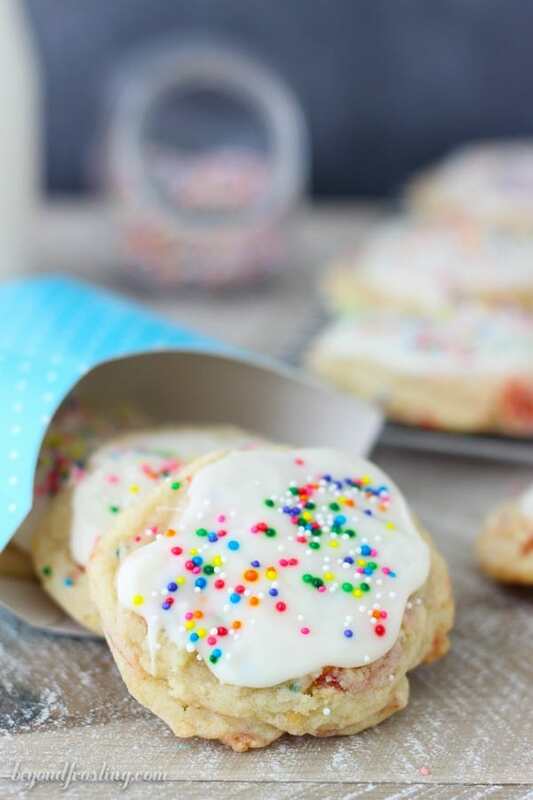 The soft and buttery cookie is loaded with strawberry Pop Tarts and finished off with a vanilla glaze. I just returned from a trip on the East Coast, which I can’t wait to share with you guys. It started off a bit rocky when I went to check in for my flight only to find that I booked it for the wrong day. This is the 2nd time I’ve done this in the past year. I couldn’t believe it! Anyhow, the wonderful people at United helped me get it sorted out with minimal impact. I took a red-eye that was mostly empty (which is always awesome) and better yet, I got upgraded. It was a great way to start the trip. I flew into Atlanta to meet Lindsay and the crack of dawn and we headed north to a Myrtle Beach to meet up with some of our other blogging pals for a weekend retreat. It’s always bittersweet to come home. I will definitely be sharing more about that trip soon. 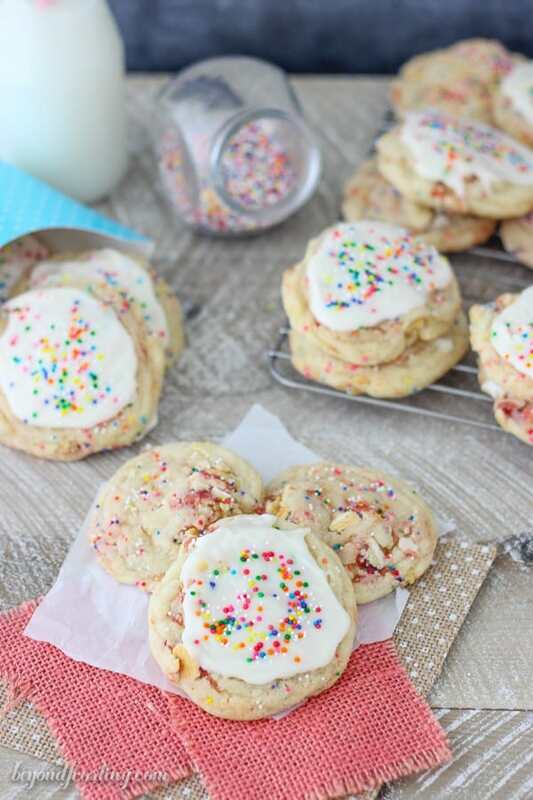 I’m digging into my childhood self with these Frosted Strawberry Pop Tart Cookies. Please tell me you guys are Pop Tart fans, or at least that you were as a child. Sadly Pop Tarts are not a part of my everyday diet but I would be lying if I said I didn’t have a craving every once in a while. 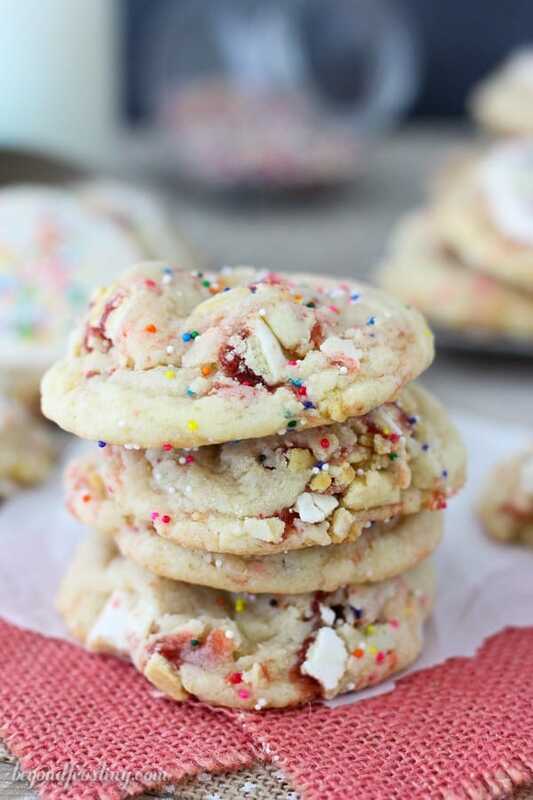 Just look at all those chunks of Strawberry Pop Tarts in these cookies! I couldn’t resist adding a little vanilla glaze to the top and a finishing it off with a touch of sprinkles. I think we can all agree these are more fun with the frosting, right? 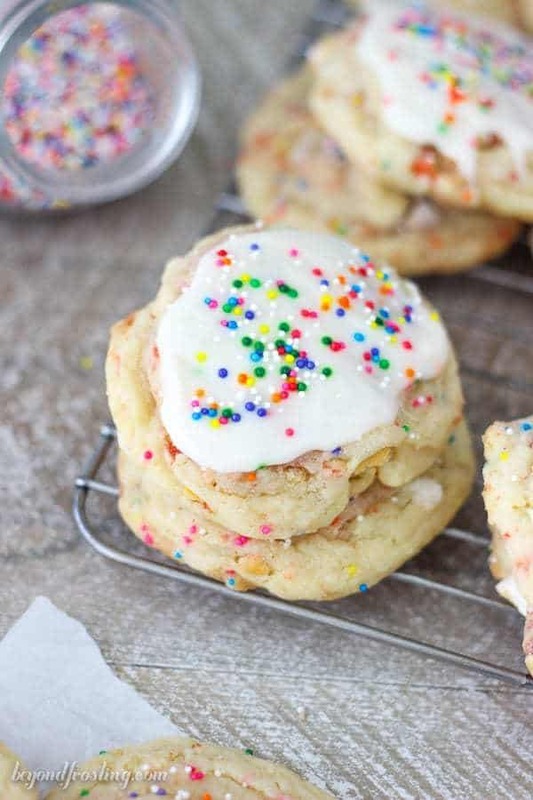 The glaze is optional, but just makes these cookies that much more fun. Either way, these cookies rock. The frosting is a thicker glaze that gets a little dryer on the top but it does stay soft in the middle. As such, I don’t recommend stacking the cookies on top of each other. The dough comes together rather quickly with your basic cookie ingredients, but don’t skip the most important step: creaming the butter and sugar. I use a slightly softened butter, which I microwave for about 10-12 seconds. Whip it into the sugar until it starts to get a little bit fluffy. There’s on catch though, I do refrigerate the dough for 30-45 minutes until it’s firm. I prefer to scoop the dough onto a cookie sheet and then refrigerate. That way I can just pull them out of the refrigerator when I’m ready to bake them. I use a large cookie scoop, about 3 tablespoons in size. If you choose not to refrigerate the dough, the cookies get very flat. Follow these few simple steps and then see the look on your friend’s faces when you tell them you made Strawberry Pop Tart Cookies. The soft and buttery cookie is loaded with strawberry Pop Tarts and finished off with a vanilla glaze. Cut the Pop Tarts into small pieces, about the size of a nickel and add to the dough. Turn the mixer on low and mix until slightly incorporated. You can also use a spatula and fold them into the dough. Preheat oven to 350° F. Use a medium cookie scoop (1-2 tbsp) and scoop cookie dough onto a parchment paper lined baking sheet. Place about 2 inches apart. 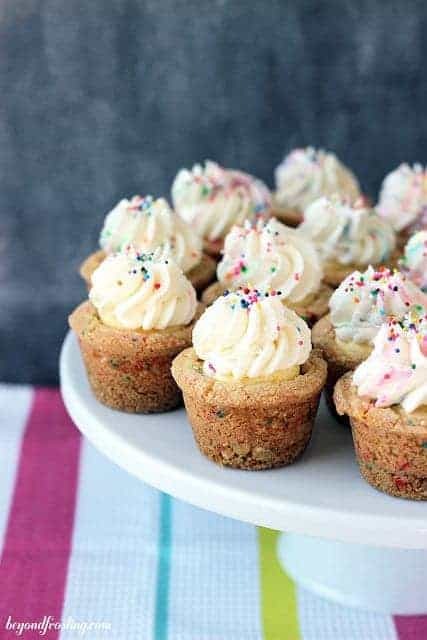 Add a touch of sprinkles to the top. Sift the powdered sugar into a medium-sized bowl for a smoother frosting. Add heavy whipping cream, one tablespoon at a time until you reach your desired consistency. The glaze should be thick and spreadable, not dripping off your spoon. 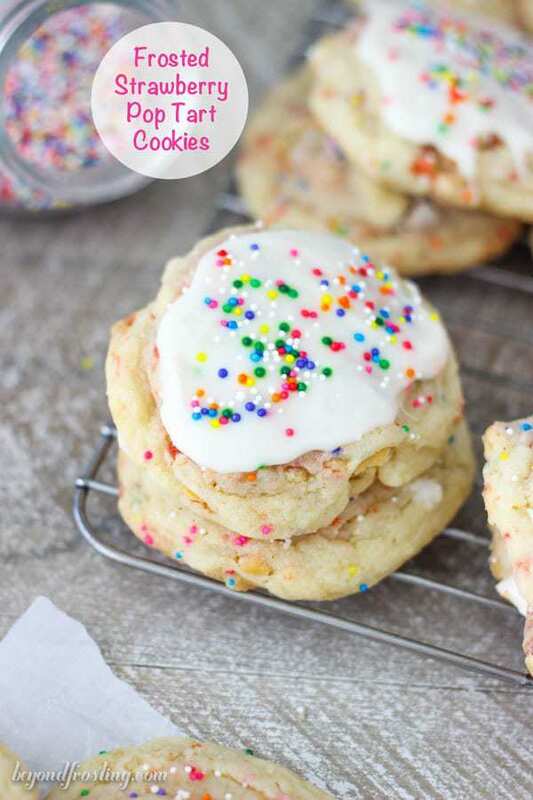 Spoon the glaze onto the cookies and garnish with sprinkles. If these sit at room temperature, the glaze with harden on the top but not underneath. Keep stored in an airtight container. I do not recommend stacking these. Tip: I prefer to actually scoop my dough and then refrigerate it. It’s much easier! 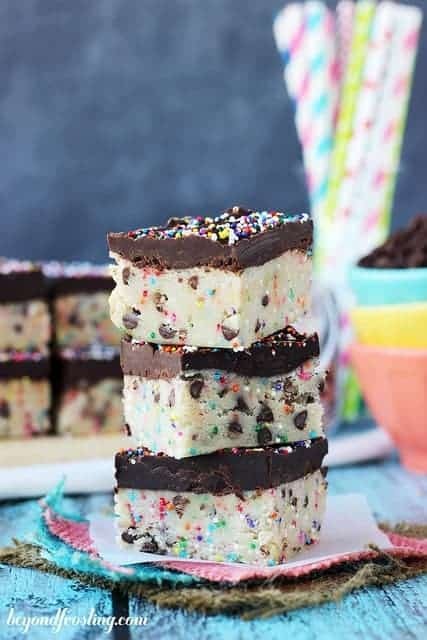 Can you make these as bars?? Made these today!!!! OMG…..amazing! 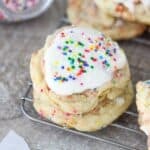 I made them a little bigger and topped them with pieces of Pop Tarts after they were done baking– instead of the frosting (only because they were for snack after kids baseball game). But sooooo good!!! Thanks for another fabulous recipe!! I used to eat Pop Tarts every day for breakfast. I still eat them occasionally and LOVE the idea of these cookies! Pop tarts are one dessert that are totally acceptable! 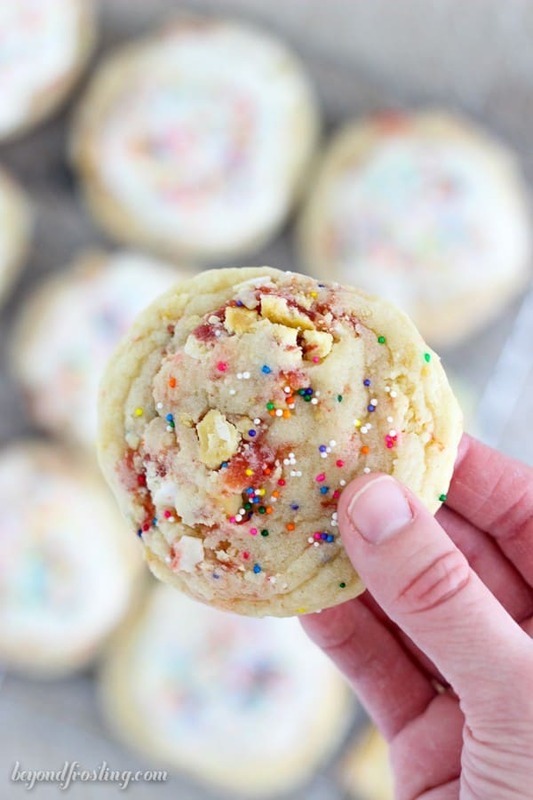 I would have never thought to add pop tarts to cookie dough! 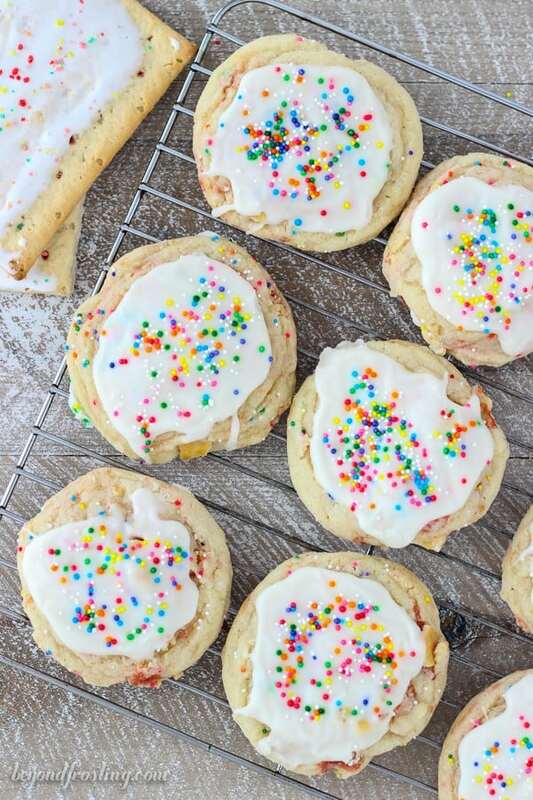 These look great, especially with the vanilla glaze! Thanks Catherine, I hope to make another batch soon. So much happiness in a cookie! You got that right Megan! Thanks for stoping by! 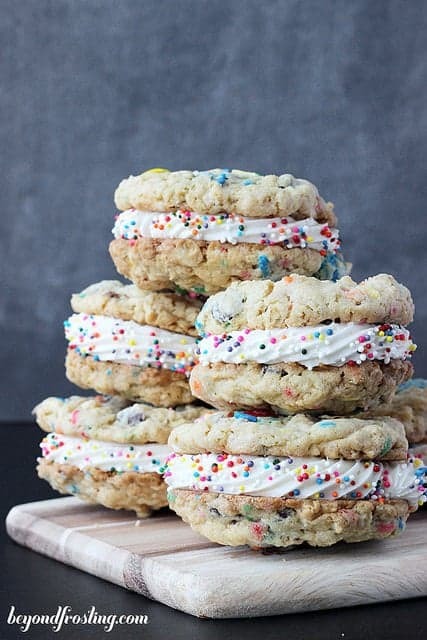 Chunks of pop tarts in cookies. You are a genius! 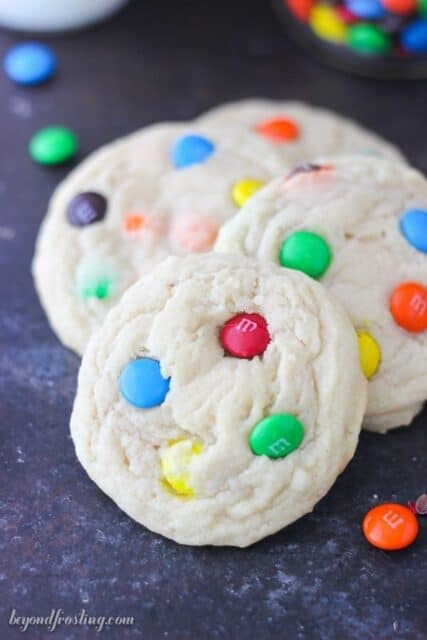 What a fun idea for a cookie! These look great! Thank you Jessica! I just can’t stop with the Pop Tarts!